Home > Blogger Articles > Become a Blogger Just Reopened – 5 Days Only! I’m please to announce that one of the most popular resources for new bloggers is reopening its doors to new members for 5 days only! If you are serious about becoming a better blogger, then I highly recommend signing up for this “Become a Blogger“ program. Not only is the content amazing, but Yaro and Gideon (who are very well known and successful bloggers themselves) explain things in a non-technical way so it’s easy to understand for anyone. It’s one of the best, if not THE best blogging courses out there at the moment, and is recommended by dozens of professional bloggers around the world. 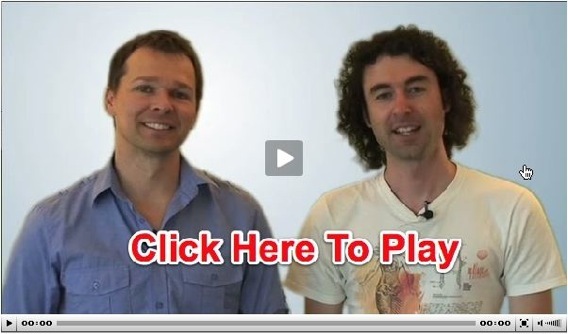 Yaro and Gideon are very talented at explaining things in layman’s terms and have put together this amazing online video course based on their very popular Become A Blogger video series. They’ve already had over 100,000 downloads for their blogging tutorial videos. If you read the Roadmap to Become a Blogger, then you know the quality of Yaro and Gideon’s work. Bonus #1 – How To Use The “X-Factor” Strategies To Put Your Blog Into Super Drive! Bonus #2 – A range of other bonuses including a 10 part audio series on “Master the Mindset” – access to the Become a Blogger Forums and special members only Teleconferences. But don’t take my word for it, go read more about their program here. They are keeping doors open for ONLY 5 days, and then they will shut it again for the rest of the year! Crazy I know! But they said that they needed to limit the numbers somehow. Last time they opened doors, they were bombarded with a flood of new members signing up, and they had to close the program to the general public for a few months to take care of their new members. But I just wanted to make sure you get in this time. Previously Become a Blogger was $77 a month and it sold out within days. This time they’ve dropped the price to $47 which is a steal for the value! You can either sign up on a month by month basis or invest in it up front for the 6 months get a discount. They only allow a limited number of students so they can focus all their time and energy on a select few. There is also a money back guarantee so if you’re not satisfied with the results, you can simply ask for your money back. How can you go wrong with that? Head on over to the Become a Blogger site and read more about their program now. There’s not much time so I recommend doing this sooner rather than later otherwise it might be too late! Signup for Become a Blogger now. hiks its to expensive for me. Any graduates out there have anything to say about the course? It has to be worth $47 bucks. my welfare check won’t cover it. this is very interesting..but i think can’t still afford it…maybe next time! $47 means 3290 BDT for me. So it is so expensive. wow that is great thing..unfortunetly im lazy blogger.do yo have special program for lazy bogger ? @akuchey dude you are cool ,but i think Yaro and Gideon are really good at what they do. too expensive.. i don’t have enough money..
thanks for this type of article.after a along surfing i got this one.thanks again. i’m thinking of joining …. wow that is great thing..unfortunetly im lazy blogger.. Unfortunately it was too late, wasn’t it? They should open it up again! This sounds like a great program from what is described about it. Let me know if you hear of it opening up again! I know yaro before ,I am satisfied with his free tips . but his product cost is not suitable for a newcomer’s pocket. I see your video Nice shearing for beginners Great tips for blogger. What a blog about the write a blog. you have write such a nice tips. you provide the nice information for become a blogger and with the explanations. This is a great opportunity but its to expensive for me. I would love to learn your techniques. I have been blogging for a year now and I am still learning the ends and outs of blogging. But always improving to make my blog better. Hopefully in the near future I can get your program. Thanks guys. Would love to sign up but FAR too expensive for me, even at the reduced price! Thanks for the post. I am a blogger, an amateur, if I can say so…So, I can do notthing, but writing. Now i need my psd templates to publish to wordpress ro start a new blog, but I do not have a clue how to do that…I am not a coder, though. Are you or anyone here familiar with the special software for psd publishing? This blog have such a nice templates. I always prefer that blog for the templates. Nice article tanks for this. Thanks for the Information .I’m repeating the steps now.